After a wild opening week of the college football season, one that was full of surprising finishes, will we come back to Earth this week? There aren't as many juicy matchups as last week but there are still some quality ones, with perhaps the finest being in Euguene with Michigan State taking on Oregon. Is Toledo going to win here? I doubt it but they can certainly make it interesting. Let's get some upset action. You know what? I think Steve Sarkisian is going to unleash Cody Kessler this week and get an upset on the road. After Northwestern's performance at Cal, I don't have that much confidence here. 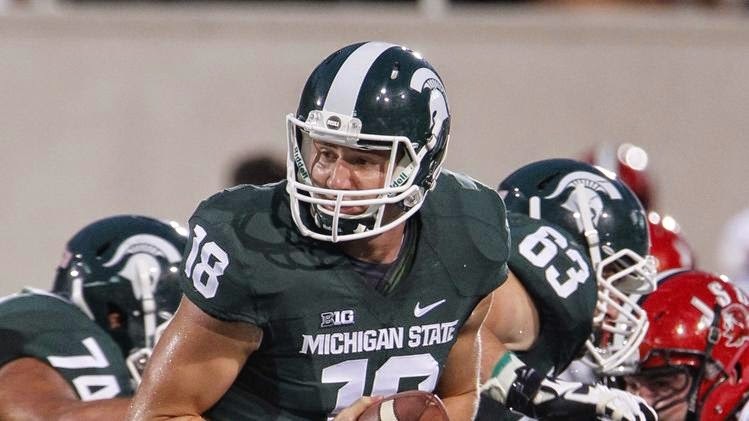 Sparty's defense will keep them in it and Connor Cook is rather good, but Michigan State just doesn't have the offensive horses to get the big road win. BYU will be game as always but Charlie Strong will get his first big UT win right here. I still have concerns with the Michigan offense and I think Everson Goldson will have a big showing under the lights. Even without Terrelle Pryor, I think Ohio State has a little too much for the Hokies to handle on the road.